Get competitive quotes on outdoor advertising in Biloxi! Biloxi is home to top-tier casinos making it a top spot for outdoor advertising. 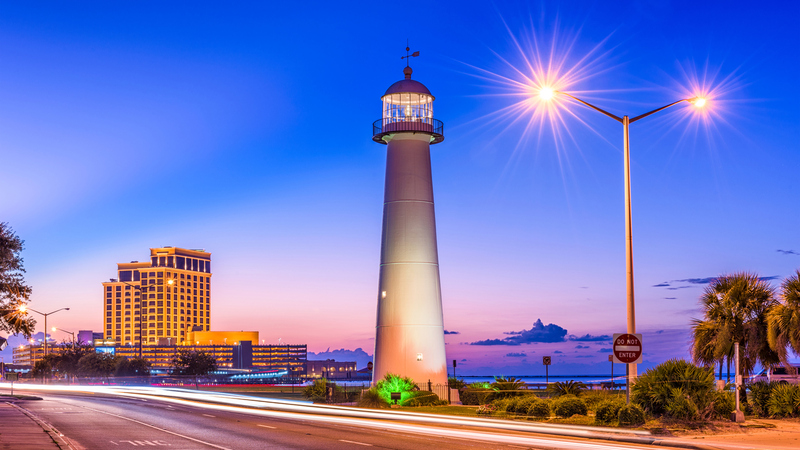 Located on the Mississippi Sound, Biloxi is known as the home to Beau Rivage, IP Casino Resort Spa and Scarlet Pearl Casino. Consider advertising along US 90 to take advantage of incoming traffic. Or, target museum buffs near Ohr-O’Keefe Museum Of Art and Walter Anderson Museum of Art. With an impressive array of entertainment, an outdoor ad campaign in Biloxi is sure to impact your business. Select an ad format below to learn more. Or, begin by exploring BillboardsIn’s massive database to kick off your campaign in Biloxi.